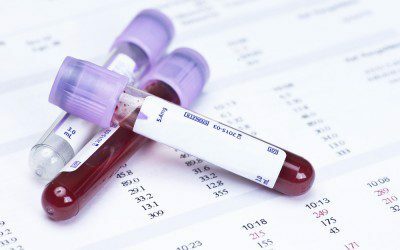 Home > Blog > Flashpoints > Too Much Type 2 Diabetes Testing? Too Much Type 2 Diabetes Testing? Here at DiabetesSelfManagement.com, we often stress the importance of monitoring your blood glucose levels. After all, studies have shown that blood glucose control is key to lowering your risk of developing complications of diabetes, such as eye, kidney, or nerve damage. But according to a new study, doctors often measure the blood glucose control of people with Type 2 diabetes too frequently — and, as a result, sometimes prescribe treatments that are too aggressive for their patients’ overall health and well-being. The study, published last week in the journal BMJ, looked at over 30,000 adults with Type 2 diabetes whose blood glucose was well controlled, defined as having an HbA1c level (a measure of long-term blood glucose control) below 7%. The average age of the study group was 58. As noted in a HealthDay article on the study, guidelines from groups like the American Diabetes Association state that in people who have a recent history of good blood glucose control, the HbA1c test should only be given by doctors once or twice a year. Yet in this group of people with well-controlled diabetes, 55% had an HbA1c test three or four times a year, and another 6% had the test at least five times a year. But the cost of all these extra tests, and the inconvenience involved, aren’t the only drawbacks to this testing. The study also showed that excessive testing was associated with doctors intensifying a patient’s diabetes treatment — that is, prescribing more drugs (including insulin), some with the potential to lower blood glucose too much and cause hypoglycemia. In fact, study members were 35% more likely to receive intensified treatment if their doctor tested their HbA1c more than the recommended amount. Despite good blood glucose control, 8.4% of study members experienced intensified treatment. The study’s authors speculated that overtesting may be driven by both doctors and patients, who have trouble resisting the impulse to monitor their condition as closely as possible. Furthermore, they posit, doctors are conditioned to treat a patient even when refraining from treatment might be the wiser course of action. In the case of diabetes, having very low blood glucose has been associated with an increased risk of a heart attack or stroke among older people. What’s your take on this study — do you think overtesting and overtreatment of Type 2 diabetes are major problems, or are lack of blood glucose awareness and undertreatment the bigger issues? How often do you get an HbA1c test? Do you think getting the test more often — or less often — would change how you go about managing your diabetes? Are you and your doctor striving for very tight blood glucose control (such as an HbA1c level below 6%)? If so, have you experienced an increase in hypoglycemia since you started aiming for such a low number? Leave a comment below!